I've wanted to do a post like this for a while now, I love seeing other bloggers' boyfriends join in on the action and when The Bear Hug contacted me I knew they'd be the perfect brand for me and Joe to collaborate with. 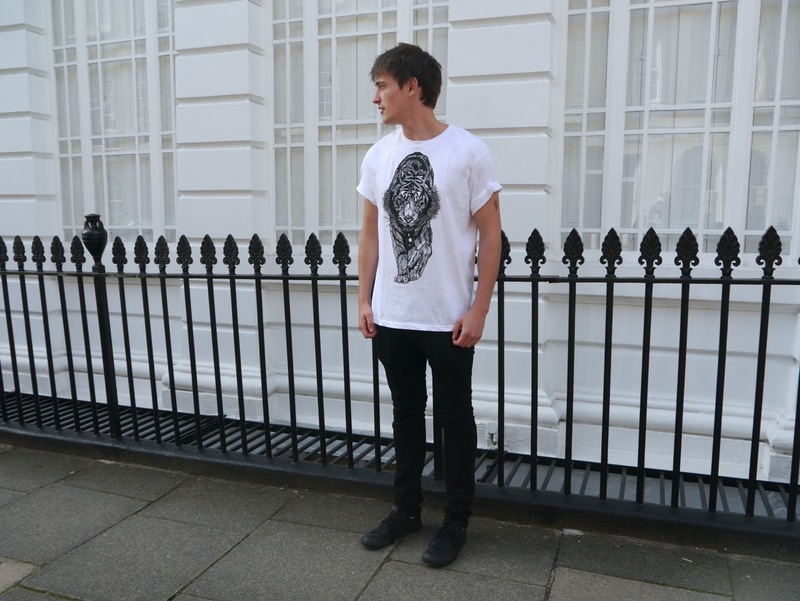 Their range of unisex designs are right up both of our streets with the unique graphics designed by Luke Dixon, we honestly had a difficult time choosing which designs to go for, Joe especially still has a few designs on his wishlist! What do you think of this style of post? 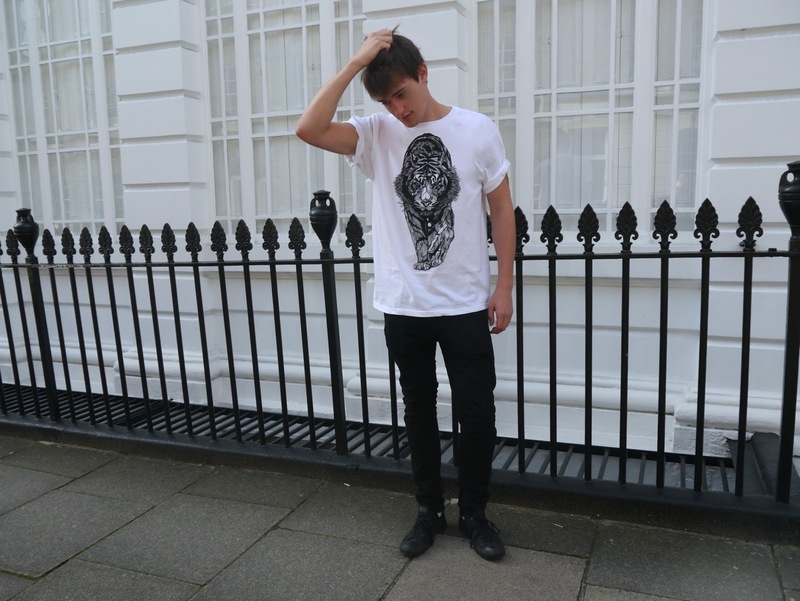 this is such a lovely outfit, love your t-shirt! N'aaw. Such a cute couple... That necklace is amazing too. OBSESSSSEEEEDDDD. Such an amazing idea. The printing detail is amazing! Rocking fishnet socks in edgy boots : my fav ! 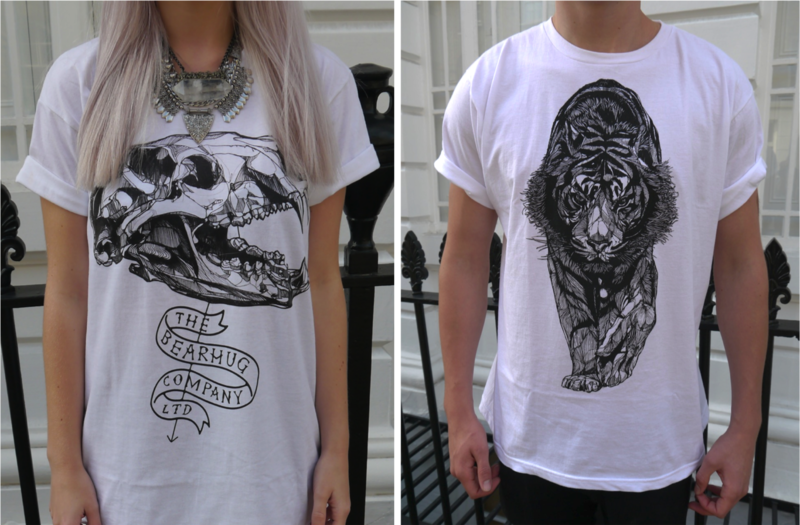 The prints on these shirts are so cool. So cute, love the socks and boots combo too.